The most important factor when choosing a California estate buyer is trust. Can you trust the estate buyer to give you best cash offers for your estate diamonds, jewelry, sterling silverware, and fine collectibles? Can you trust the estate buyer to provide you with all the facts needed to make smart selling decisions? An estate buyer’s Better Business Bureau rating is a good indicator of trust. For example, the estate buyers at San Diego Jewelry Buyers (SDJB) have an A+ BBB rating. You should look for California estate buyers with at least an A rating with the Better Business Bureau. Another good indicator of trust is a California estate buyer’s reputation. You can learn about an estate buyer’s reputation by researching online reviews and media coverage. In the case of SDJB, they have been covered by popular California media, such as the San Diego Union-Tribune, KUSI TV News, and NBC 7 San Diego, as well as national media such as CBS Moneywatch. If a San Diego estate buyer of jewelry and diamonds has no local media coverage, you should spend more time investigating their credentials. Look for California estate buyer reviews that seem like they were written by actual customers and are spaced out over a long period of time. Also look for estate buyer reviews on review websites that are recognized for removing fake reviews, such as Yelp.com. To see what authentic reviews of a California estate buyer look like, visit the following link: Estate Buyer Reviews. It’s important to choose a California estate buyer who specializes in the types of items that you wish to sell. If you are selling items from a large estate, there is no reason to choose only one estate buyer. All too often sellers of an estate choose a San Diego estate buyer or estate liquidator who purchases everything from furniture to paintings to diamond jewelry. It may be more convenient to choose a big one-stop estate buyer or liquidator. However, that convenience could mean tens of thousands of dollars less in your pocket. Choosing to sell estate items via a San Diego estate sale also can cost you tens of thousands of dollars. When selling an estate that includes valuable diamond jewelry, luxury watches, and other fine gift assets, you want to work with a San Diego estate buyer with a thorough understanding of the worldwide luxury estate market. Your estate buyer should also have an extensive resale network through which to sell your items. Choosing a California estate buyer with these kinds of credentials is how you get the most money for your luxury estate merchandise. A San Diego estate buyer who purchases fine jewelry should pay premium prices for signed pieces, especially items from Tiffany & Co., Harry Winston, Faberge, David Yurman, Bvlgari, Cartier, Van Cleef & Arpels, Mauboussin, John Hardy, Chaumet, JAR, David Webb, Mikimoto, Boucheron, and other sought-after prestige brand names and legendary jewelers. The estate buyer should also be deeply knowledgeable about fine jewelry from every important design period: from 19th century Victorian and Georgian jewelry to 20th century Art Deco, Art Nouveau, and Edwardian jewelry. San Diego estate buyers should share their knowledge freely and openly with you, answering all of your questions to your complete satisfaction and explaining precisely their appraisal process. The estate buyer should appraise your fine jewelry and other gift assets in front of you, at no cost and with no obligations. You should feel completely comfortable with the entire process, from the initial appraisal to the final cash payment. San Diego Jewelry Buyers is rated #1 among California estate buyers who purchase fine jewelry because all of the above holds true to them. Beyond fine jewelry and big diamonds, SDJB’s San Diego watch buyers pay premium prices for luxury watches from Rolex, Patek Philippe, Vacheron Constantin, Audemars Piguet, Breguet, Jaeger Lecoultre, Panerai, Cartier, Concord, Tag Heuer, Harry Winston, Roger Dubuis, Lange, IWC, Chopard, Omega, Ulysse Nardin, Breitling, Hublot, Bell & Ross, Bvlgari, Franck Muller, and other fine watch brands. The estate buyers at San Diego Jewelry Buyers are also recognized for their best cash offers on signed collectable silver flatware and hollowware from Tiffany & Co., Christofle, Georg Jensen, and other silverware makers. 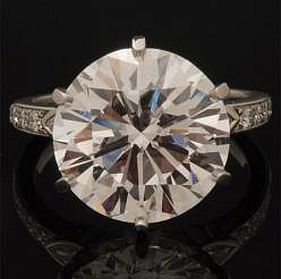 For more information about selling jewelry, sterling silverware, timepieces, and diamonds to the A+ BBB estate buyers at San Diego Jewelry Buyers, contact them toll free: 800-557-9413, or visit their website at SanDiegoJewelryBuyers.com.